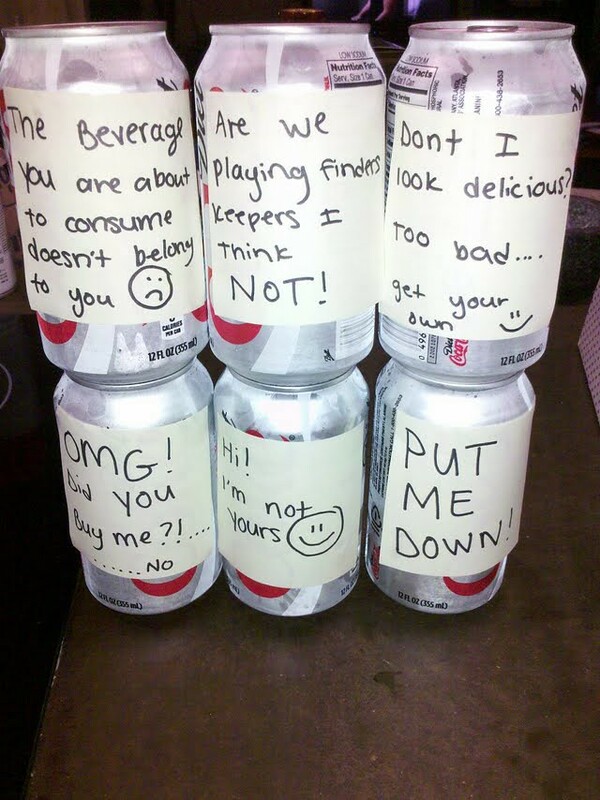 Warning: Take my last Diet Coke from the fridge and I WILL cut you. 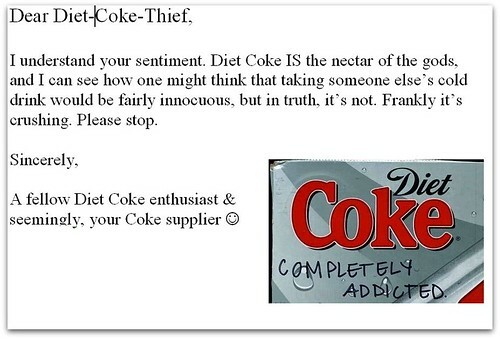 related: Enough with the diet sodas! 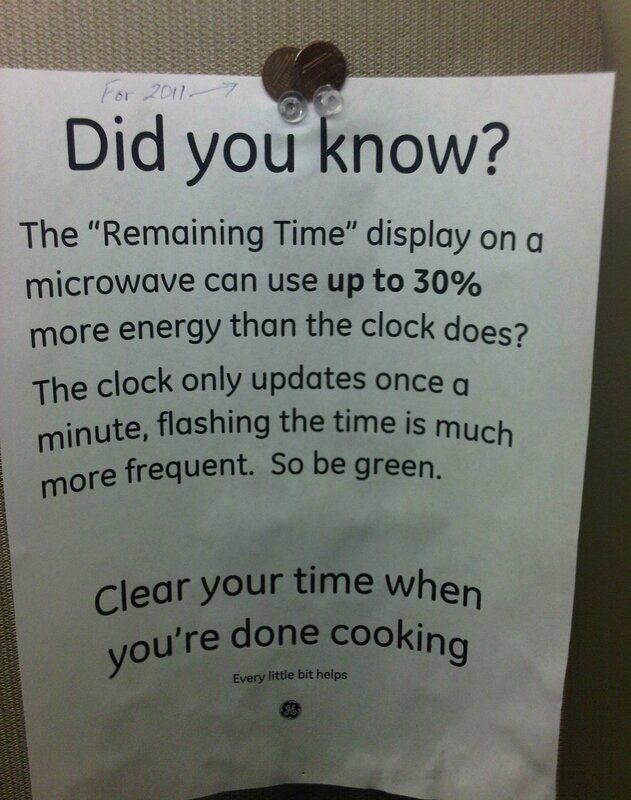 Please clear your unused microwave time: now with more questionable statistics! 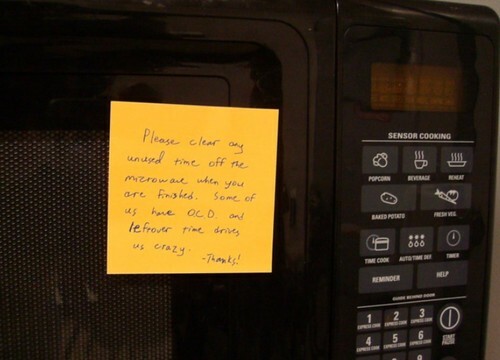 This is, of course, simply a new strategy in the ongoing war being waged in kitchenettes across the world by the United League of Office Workers Who Have Nothing Better to Complain About. 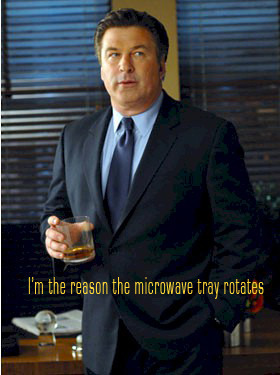 Tags: dubious scientific claims · energy usage · microwave · Milwaukee · office · questionable logic · The Earth · Wisconsin · WTF? Gee, thanks for the support. “My fiance and I are getting married on our nine-year anniversary of being together,” writes our bride-to-be from Las Vegas, Nevada. 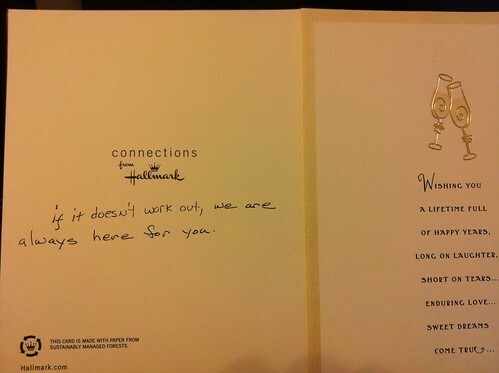 Before leaving town for her wedding and honeymoon, the office threw a small party in her honor, and everyone signed a card full of blessings and good wishes. Everyone, that is, except for one particular executive, who added his unsigned note of support on the back in his distinctive handwriting. Touching, no? 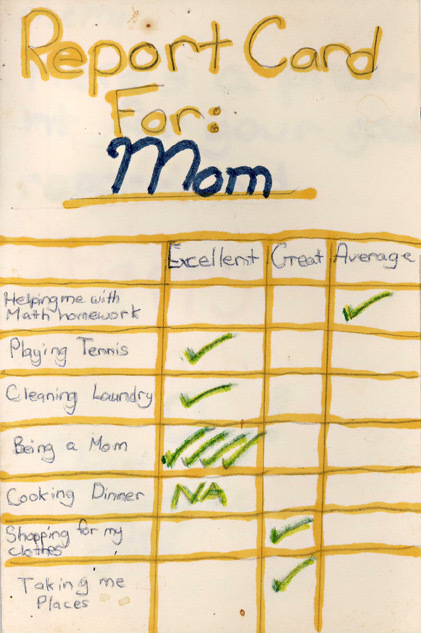 related: Happy F’ing Mother’s Day! 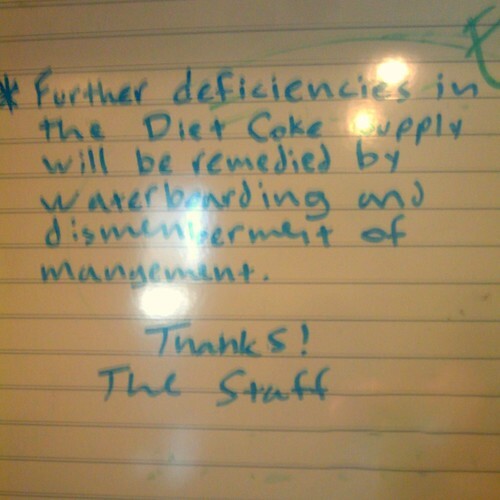 Meanwhile, in the breakroom at Ashley’s office, even snarky responses get their own frames. 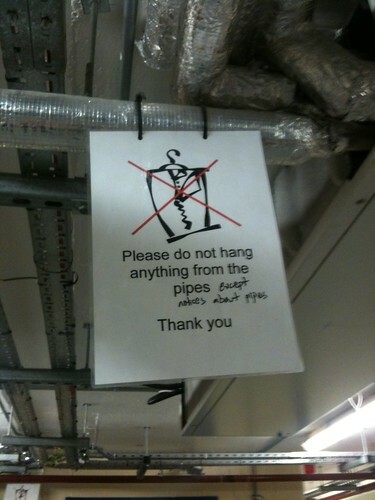 Now that’s classy. 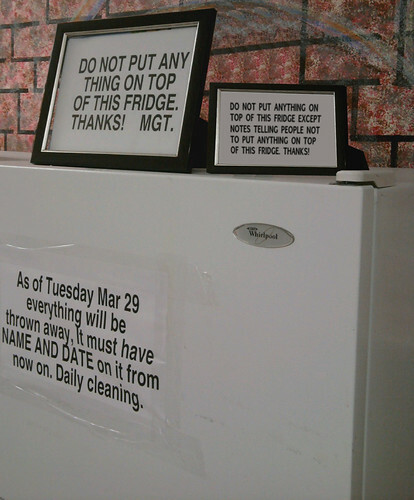 And don’t you DARE clean out the freezer — I have important bills in there! “My roommate is a total slob,” says Elinor in Toronto, so after two weeks away from the apartment, she wasn’t too surprised to see the kitchen piled high with several delightfully fragrant, filled-to-the-brim garbage bags. 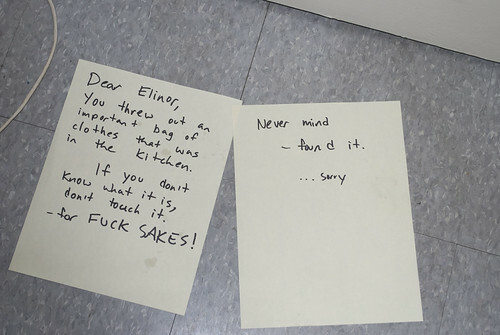 When she went to throw them out, Elinor discovered one of the bags was actually filled with clothes, so she put that one in her roommate’s room. 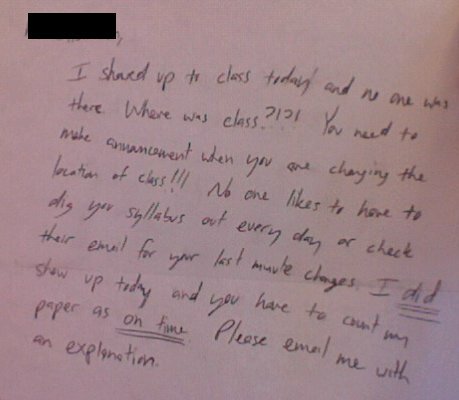 The next morning, Elinor found both of these notes slid under her bedroom door.